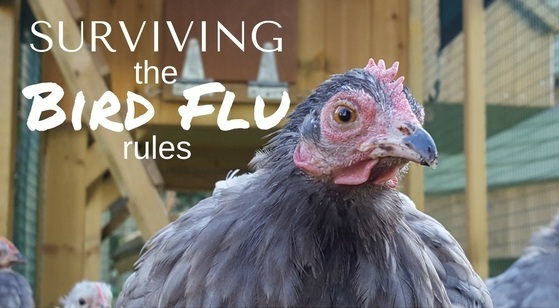 With the news of the Bird Flu Prevention Zone declared by the Government Chief Veterinary Officer, we thought we could help answer some of the questions you might have. 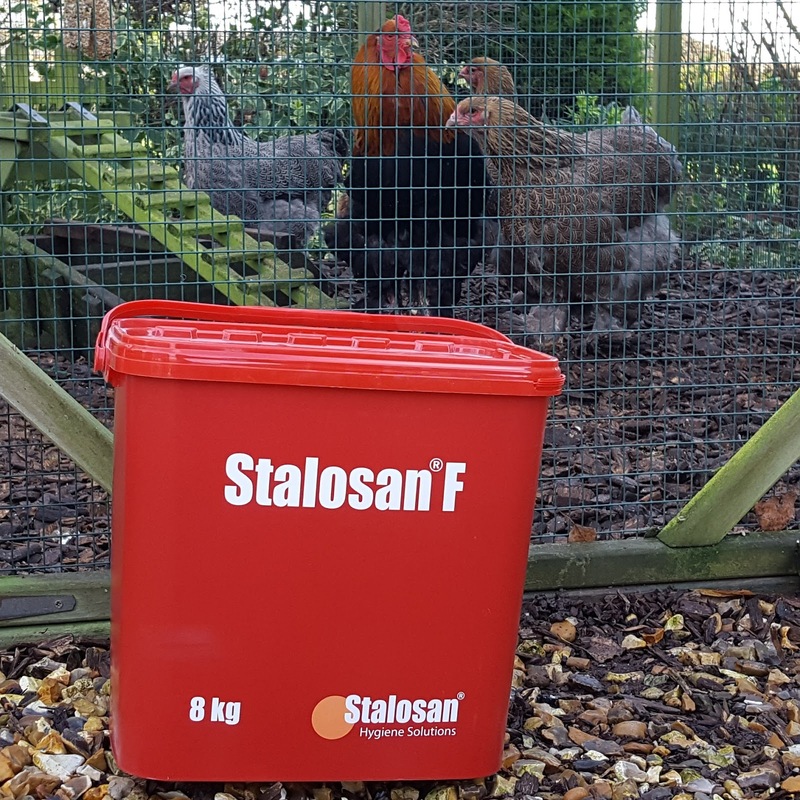 After taking some simple measures from last week's blog Avian Flu - Advice for Poultry Keepers, here are our top tips to help you and your poultry survive the remaining days of the bird flu bio security requirements. restrictions by providing pecking treats. Including Why the restrictions and for how long? And what to look for. This is a precautionary action to help prevent outbreaks in the UK. If you have any concerns about the health of your poultry, seek prompt advice from your vet. 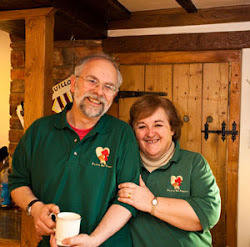 For poultry supplies delivered to your door visit our Flyte So Fancy website here http://www.flytesofancy.co.uk/ We are doing our very best to stock everything you need to keep your flock happy and healthy until this risk has passed. If you need guidance about which products to choose, please do give us a call on 01300 345229. On 6 December 2016 the Department for Environment, Food and Rural Affairs (Defra) announced an Avian Influenza Prevention Zone to help protect poultry from a highly pathogenic strain of avian flu present in Europe. The zone covers the whole of England and will remain in place for 30 days (until 6 January). 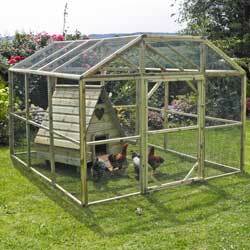 (The Scottish and Welsh governments have also ordered that all poultry and captive birds must be kept indoors). The zone requires the immediate and compulsory housing of domestic chickens, hens, turkeys and ducks, or where this is not practical, their complete separation from contact with wild birds. For farmed geese, game birds and other captive birds, keepers should take practical steps to keep these birds separate from wild birds. 1. Keepers are advised to keep poultry inside. The advice to keep birds ‘inside’ can mean just keeping your birds confined to their run. If you don’t have a run, you could construct a temporary one from old pallets or similar. 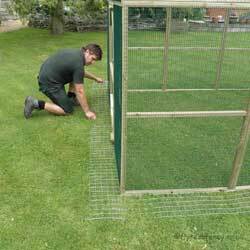 The main concern is to ensure that wild birds cannot access the run, so any holes in the fence or wire need to be small. If you have a garage or shed that the birds can set up a temporary home in, then this is another favoured temporary housing option. The current restriction is in place for 30 days but it may well be extended. If you would like to purchase a run, we have many sizes and styles to suit a range of budgets and house styles, most of which are in stock. The best way to prevent droppings from wild birds that might have been exposed to avian flu would be to cover your existing run to essentially create a ‘roof’. 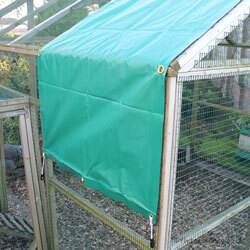 The simplest and most cost effective solution is to use a tarpaulin. Our large PVC Rainshades with bungee fixings are ideal for this. 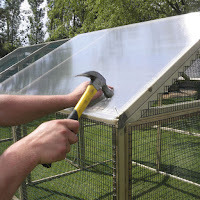 A more permanent solution could be to cover the roof with polycarbonate sheets or other lightweight roofing materials. 3. What if I have to confine my birds to their house? The current avian flu restriction applies to all poultry and captive birds, yet for some it just not practical to create a run or move birds to an indoor enclosure. In this instance, birds will need to be confined to their houses or coops. 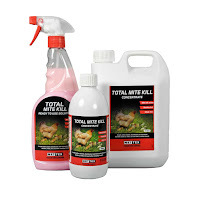 More frequent cleaning will help to keep the birds clean and the addition of products such as BioDri Sanitising Powder will help alleviate the build up of moisture created by condensation of having birds in a confined space. 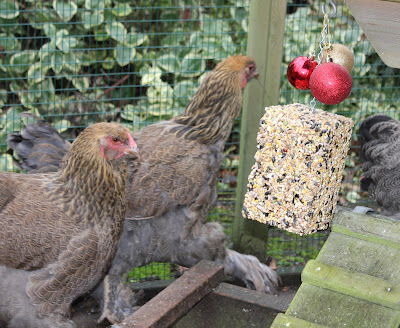 Bored birds can begin to get restless and bully each other, to help with this we would recommend items to act as a distraction, such as the boredom buster® or perhaps a few playful items such as hanging up a cabbage. Feeders and Drinkers need to be kept inside, away from contamination, hanging feeders may be an easy option helping to keep the bedding dry and minimise the amount of spilt food in such a confined area. There are many disinfectants on the market. Our best advice is to use one that is licensed by DEFRA for Avian Flu. Bi-OO-Cyst and VirKon S Disinfectant are the products that we would recommend using as these can be used for cleaning the house, feeders and drinkers (rinse with fresh water) and for creating a simple foot bath. 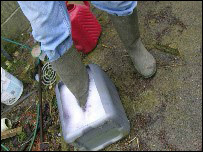 A disinfectant footbath can be anything from washing up bowl to a tub trug, filled with water and disinfectant that can be walked through by all of the family on entering the poultry area. The Virkon S Disinfectant liquid is probably the most cost effective product as once made up, it can be reused. Protective and disposable gloves and masks are a practical consideration when handling and cleaning your birds. In summary; no free ranging | prevent access by wild birds and their droppings | cover your runs | bring feeders and drinkers inside | more frequent cleaning | foot bath before entering | boredom busters | no movement of livestock | keep vigilant. On 4 January 2017 DEFRA announced that the Prevention Zones in place across the whole of Great Britain will remain in place until 28 February 2017. 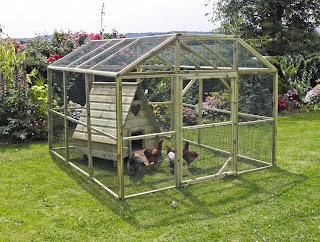 With the added advice that Keepers of poultry and captive birds must “house” them away from wild birds. They must maintain their biosecurity and keep a close watch on the health of their birds. 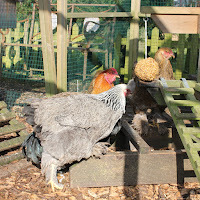 We've had a lot of chickens turn broody this year and we have had three broods of chicks hatch out. My hope that one of our Cayuga / Cherry Valley crosses might be sitting on a clutch of eggs have been undone, for after a few days sitting, she is back on the Flyte so Fancy pond. 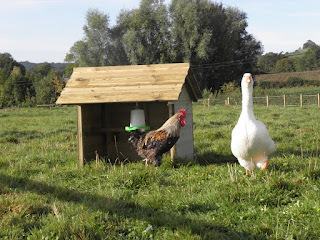 I am a big fan of ducks and like chickens they make wonderful pets and companions in the garden. Like keeping chickens there are advantages and disadvantages to keeping ducks. Ducks have great characters and are very amusing to watch. Especially a flock of Indian Runner Duck gliding around the garden. Most breeds of ducks only require a small amount of water to be happy. NO large ponds required. Some ducks are prolific layers, laying right through the winter months also. 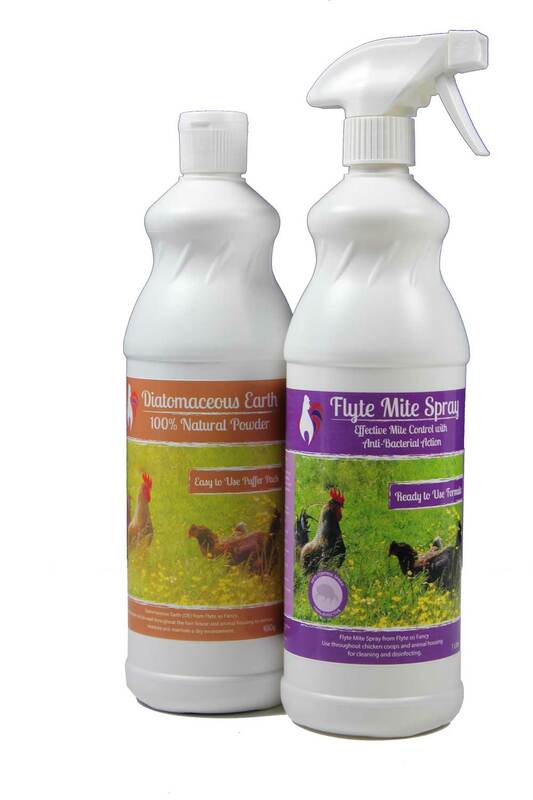 Due to thicker feathers and their oiled covering, ducks do not suffer red mite. 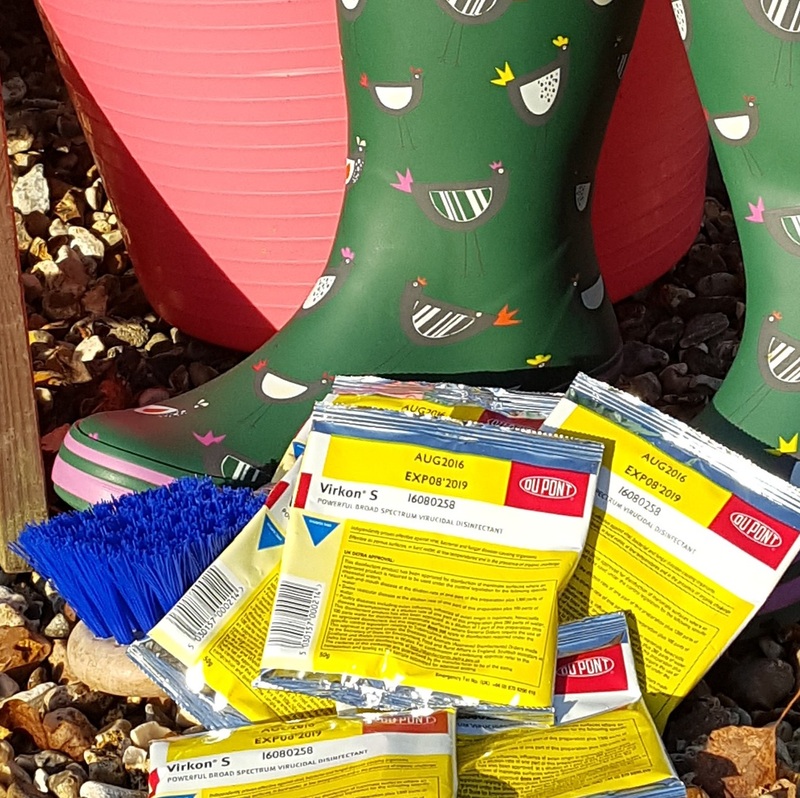 Ducks will clear a garden of slugs and bugs, great for vegetable patches. Less fussy than a chicken, a duck will lay an egg anywhere. Ducks are messy. If contained continually within a specific area they will, in time, turn it to mud. Ducks require plenty of fresh water for cleaning and staying healthy. Water needs changing regularly to avoid disease. For more information have a look at our Basic Guide to Keeping Ducks Information Page. The largest misconception people have about keeping ducks is the belief you need a large pond or lake for them to live on. This is far from true. A lot of breed of ducks will be happy with something the size of a large washing up bowl, in which to paddle. 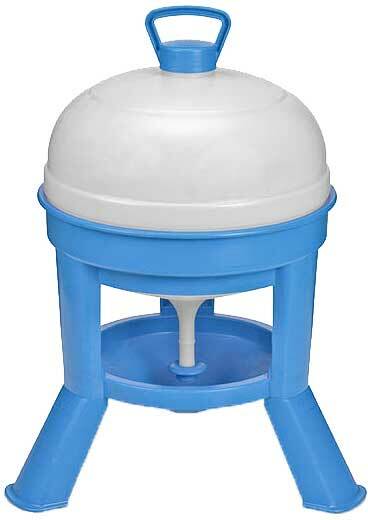 It is vitally important to provide separate water for drinking and for cleaning. 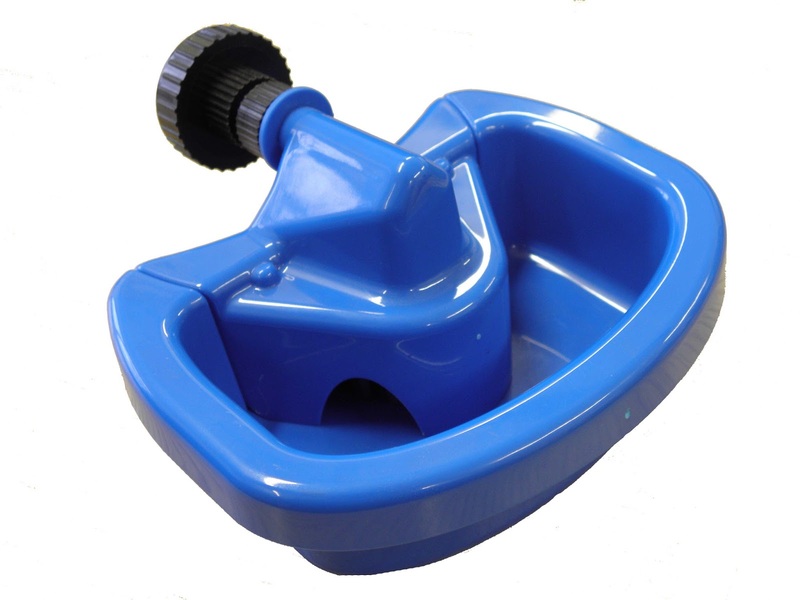 Ducks need a water bowl for cleaning themselves, that is wide enough for the duck to sit in and submerge its head. This dunking of the head is vital for ducks for cleaning their feathers and washing their eyes. 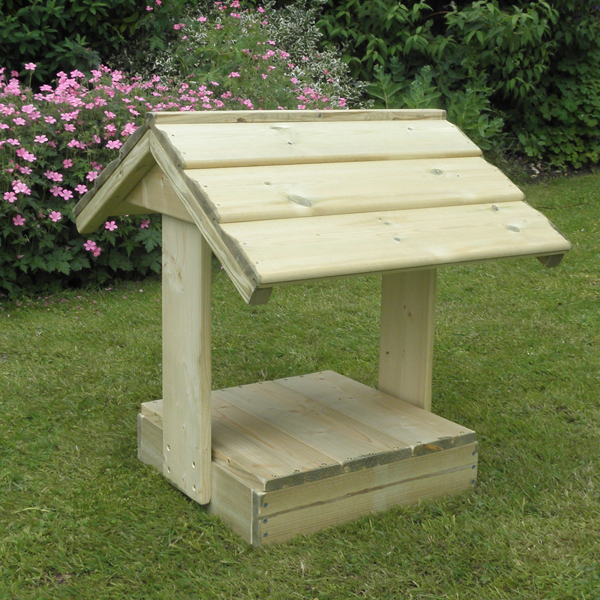 If you have any questions about Flyte so Fancy Duck Houses leave a comment below or call us on 01300 345229 to talk to a member of the FSF team. 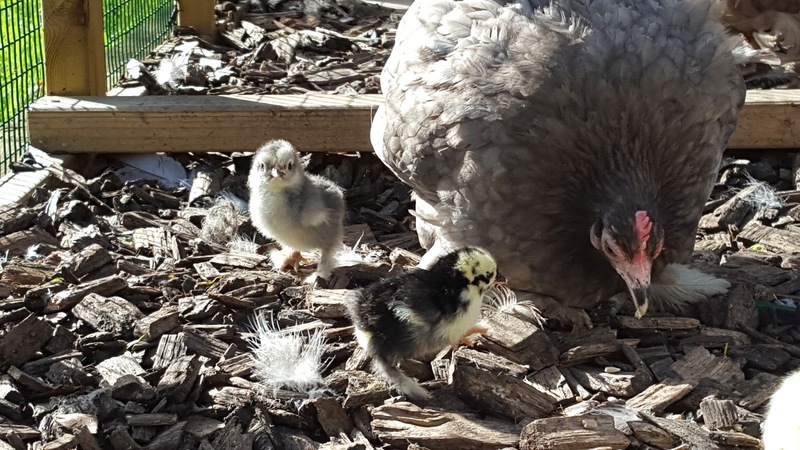 A few months or so ago we posted a Blog entry about three of our favourite drinkers and highlighted what their individual advantages are for poultry keepers and their flocks. 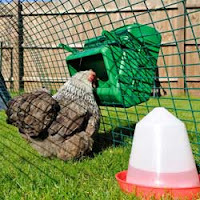 This week's Blog looks at three of our favourite feeders and the way that their clever designs and manufacture materials make them ideally suited for a differing range of poultry keepers' requirements. 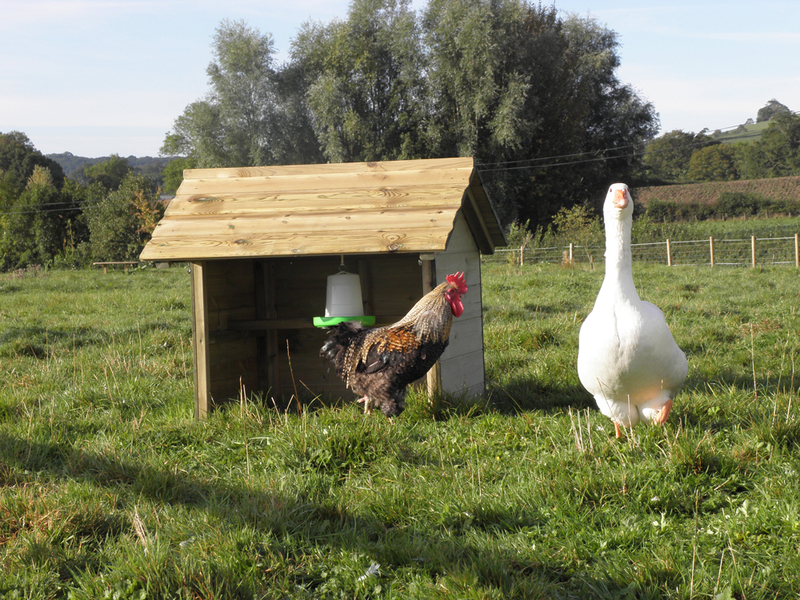 Here at Flyte so Fancy HQ we stock a vast range of feeders, of every shape, size and material for chickens, ducks, geese and chicks. The video below from a few years ago, sees Boss Phill talking about some of the feeders that we have in stock and their particular merits. Made from a thick resilient plastic, the Blenheim Feeder holds 6kg of feed and is the perfect feeder for newcomers and old hands alike. Coming on strong legs to lift it up out of the way of mud and soil, the Blenheim feeder also has an inbuilt anti-flick grid to prevent excessive waste. A metal bar fitted internally also gives you the option of hanging this feeder inside a run. 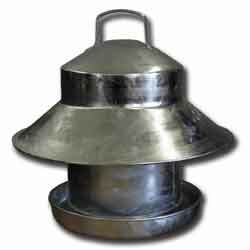 A really brilliant feeder that covers all the bases, it has a final option of an additional outdoor rain hat, that sits snugly over the feeder, low down, to keep the feed dry and prevent spoilage. 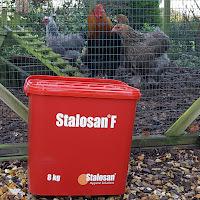 A versatile feeder, this is often my first recommendation to poultry keepers when they come in looking for a new feeder. Galvanised Feeders have proved popular with chicken keepers for decades. Made from strong, galvanised sheets these feeders will last a poultry keeper for years and years. 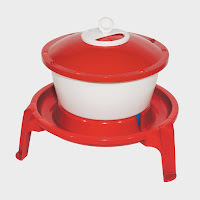 UK made, these feeders come in varying sizes, from 2.5kg for smaller flocks to 7kg for those whose passion for poultry has got a little out of hand. 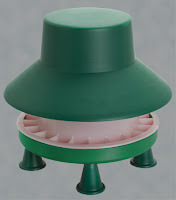 With adjustable height tubes (on the smaller model) and raincover hats to keep feed dry, the only galvanised feeder weakness would be the lack of attachable legs, to help prevent muck getting into the feed. 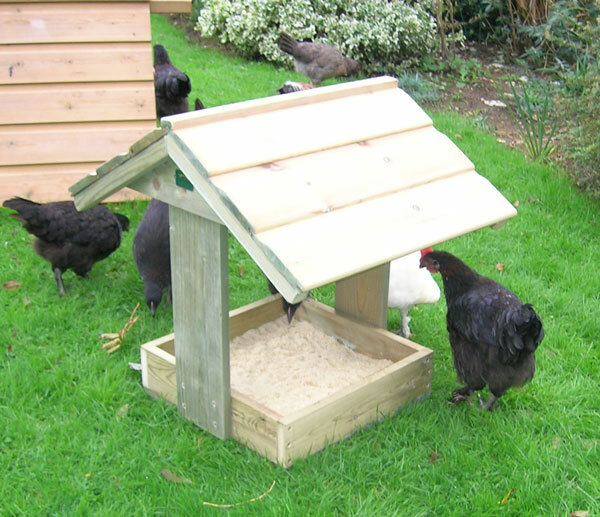 Easily cured with a couple of bricks as a stand, these feeders are sturdy constructions and will serve a poultry keeper faithfully for many, many years. Truly different to the previously two mentioned feeders, the BEC Wise Chicken Feeder is either a cage or wall mounted feeder, designed for runs and paddocks. Mounted through the mesh or on a bracket, the modular nature of the feeder allows you to increase its capacity by adding 5kg extension cartridges. The Wise Feeder can also help reduce your feed bill, with its clever design of lips and dividers preventing 40% less feed being lost, while the higher mounting prevents vermin from being attracted to the feeder to begin with. 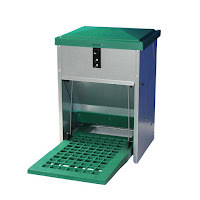 With a nice design and clever features this feeder is great for poultry keepers not looking to take up extra space within their runs with conventional feeders. The Treadle Feeders are getting a special mention at the end of the Blog due to their popularity both here at Flyte so Fancy HQ and with our customers who have purchased them in the past. 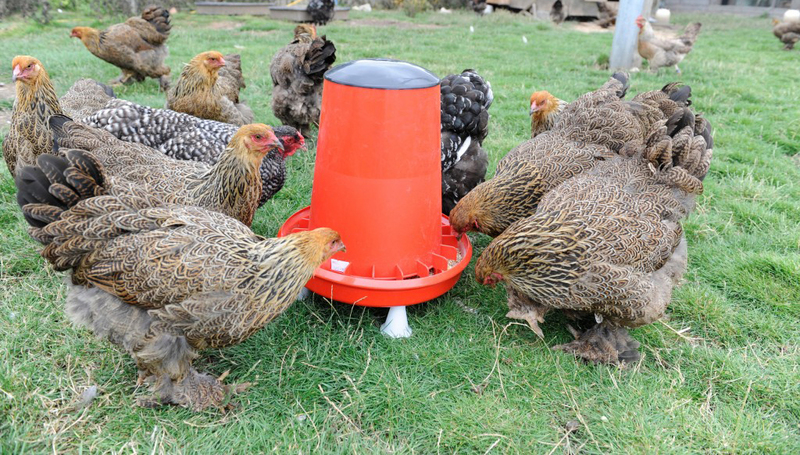 Comprising metal and plastic components, the feeders are available in three sizes for all sizes of flock. 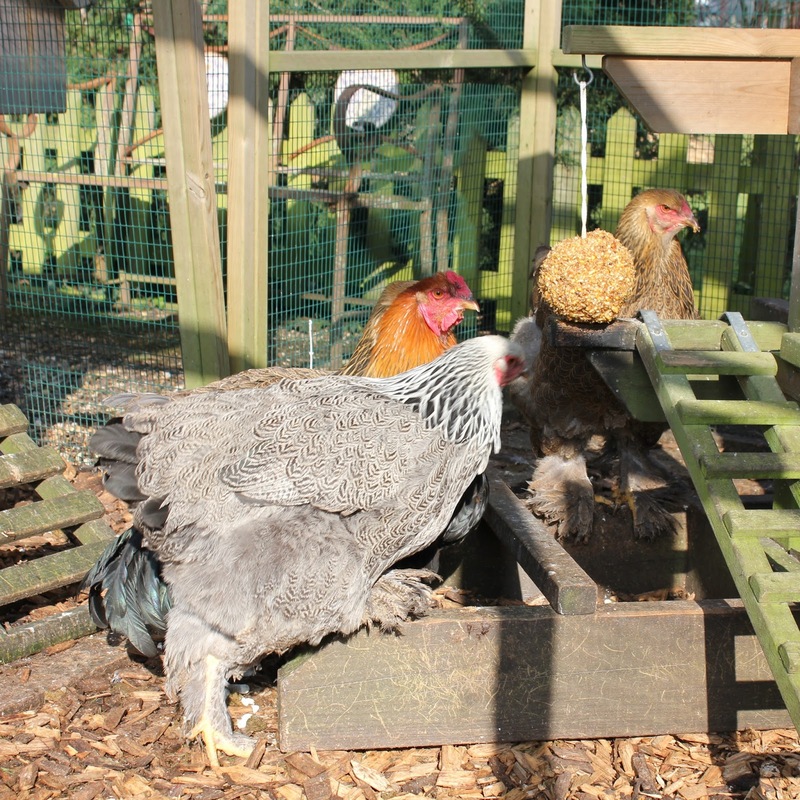 Top filled, gravity fed feeders, the food itself is sealed away by a lifting flap operated by the hen standing on the treadle. The hens weight causes the treadle to open and the feed to be exposed. Rats and mice, as well as wild birds, are too light and so can not trigger the treadle to lift. A great feeder for people with a vermin problem or just looking to keep their feed in a sealed, weather-proof feeder. 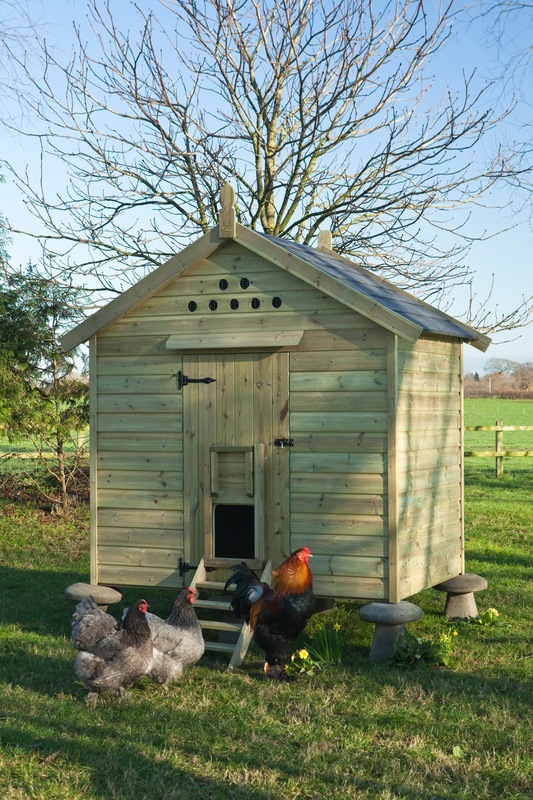 If you have any questions about poultry feeders and which might be best suited for your flock, why not leave a comment below or call us on 01300 345229 to speak to a member of the Flyte so Fancy team.